While Operation Red Sea fails on many counts as a film, it succeeds as an unapologetic tribute to the army and a showcase of their efforts. It isn’t the first time an action or war film has been light on story and character. However, it’s the fact that a lot of the action is dull and forgettable that truly lets it down. Operation Red Sea has a thrilling opening that throws you right into the middle of an action set piece. Bullets fly, the body count racks up and we’re quickly introduced to our heroes and their capabilities. The film proceeds to a few brief scenes that introduce some more key characters and set up the central conflict. After this point, it’s a nonstop action barrage until the very end, barely stopping for the occasional breather. This wouldn’t be a problem if the action itself was compelling and engaging. However, despite throwing literally everything from tanks to wing-suits into the mix, the endless gun-fighting can’t help but feel like a drag and get repetitive. There are a few moments of brilliance, like the mentioned tank fight and some thrilling sniper duels. Except for these, most of the set pieces are uninspired. To make things worse, there is the occasional bad visual effect that’s distracting. Furthermore, the editing could have been better. 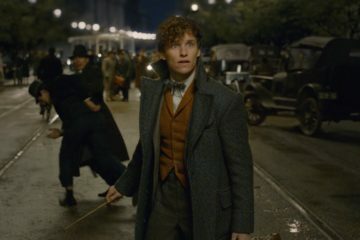 Scene transitions aren’t always seamless and it’s hard to keep up with characters in battle as they change locations. The plot is as generic and cliché as they come, failing to create any suspense whatsoever. Character development is close to nonexistent. There is only one character given a backstory and clear motives. Others just show up and do what’s required. This makes it hard to be invested in battle and feel tensed when lives are in jeopardy. It’s a shame since every performance is sincere and convincing. Given more material, these capable actors could have delivered fleshed out characters for us to invest in and care for. Unfortunately, the script barely allows for banter or interaction between them. For the most part, when characters speak it’s for exposition and plot progression. There are villains who we see and hear glimpses of but who again never get enough screen time or development to seem like genuine threats. Despite plenty of shortcomings, the film does have its saving graces. The film works well as a tribute to the army, to show their undying commitment and passion despite no matter how tough matters get. It’s fast-paced and action-packed and truly relentless. Within the span of a 140-minute duration, there’s sniper duels, hand to hand combat and gunfights. There is battles in the desert, battles in a busy town square and battles on the sea. Not to forget drone combat, long-range missiles, wing-suits and even tanks! The film throws action in all shapes and sizes at you with an unyielding persistence and sincerity that’s hard not to admire. And as mentioned earlier, while a lot of them feel uninspired – there are definitely a few thrilling set pieces that are very memorable. 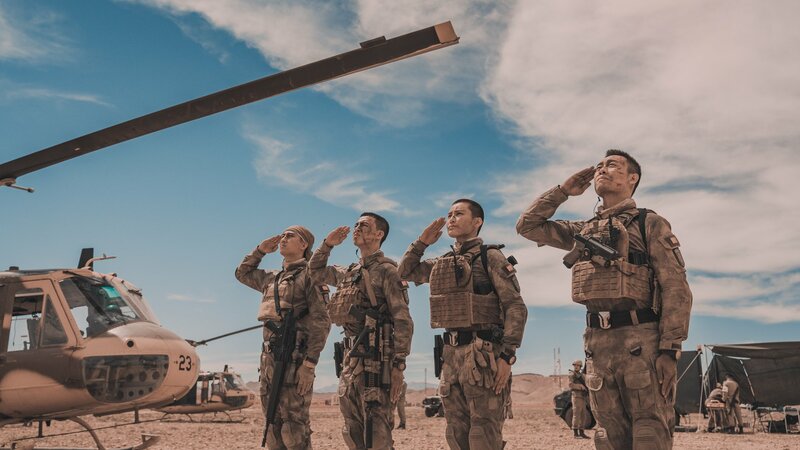 While Operation Red Sea fails on many counts as a film, it succeeds as an unapologetic tribute to the army and a showcase of their efforts. It isn’t the first time an action or war film has been light on story and character. However, it’s the fact that a lot of the action is dull and forgettable that truly lets it down. A few moments of brilliance and the sheer energy and passion on display make the film watchable. But at 140 minutes, it’s hard to stay invested consistently and you’re left exhausted by the time the credits roll. ‘OPERATION RED SEA’ PREMIERED AT THE NEW YORK ASIAN FILMS FESTIVAL.